How Do I Check My Computer For Malware? 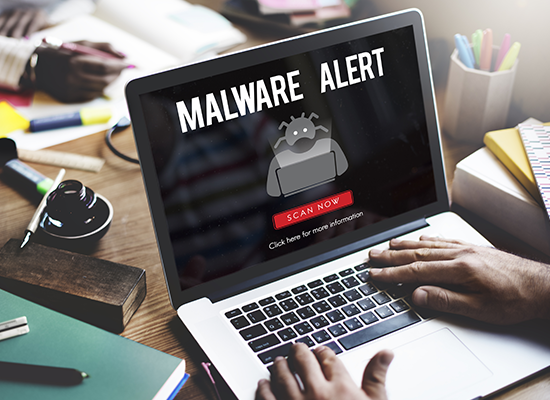 Malware or malicious software refers to a range of programs that can infect your computer, possibly steal your personal information or cause computer performance to deteriorate. Such software can be difficult to detect, so it's a good idea to scan your computer regularly. This article describes how to check your computer for malware. The term malware refers to programs like code, scripts, active content websites, Trojans and spyware that are created to disrupt the normal functioning of the computer, gather information that can lead to loss of privacy or that gain unauthorized access to the operating system. Spyware, for example, track your browsing habits and even keystrokes and pass on that information to the attacker. Information sent by the spyware can be used to send you annoying and unsolicited advertisements and other spam. Worse still, your personal information may be sold to other third parties which may lead to even more spam. Computer viruses are designed to infect files on a storage disk (hard drives) and can spread autonomously from computer to computer. A malware virus infection is often triggered by the user's action such as opening an infected email attachment. A malware virus must attach itself to other programs in order to exist. This is the principal characteristic that distinguishes a malware virus from other forms of malware. Malware viruses cannot exist on its own, i.e., without a host program; it is usually present as a parasite on another program. Piggybacking on another program allows the malware virus to trick users into downloading and executing it. Apart from spyware and viruses, there are also other forms of malware such as ransomware, Trojans, rootkits, adware, etc. If your computer has slowed down significantly, if your applications take much longer to load or if your screen has unwanted pop-ups or advertising that you did not click on, then it is likely to be a malware infection. It's vital that you take steps to remove this intrusive and unwanted software not only because it is annoying but because potentially you open yourself to personal information theft. How To Protect Your Computer From Malware? Install a good firewall program like Comodo Firewall. If you practice good browsing habits, you should be able to surf the internet relatively trouble-free and protect your computer from malware. In an organization, a completely different strategy is required to defend against malware. The ideal way for organizations to disarm even the potent malware is to have an advanced endpoint protection system. Comodo Advanced Endpoint Protection (AEP) software has the most extensive array of tools to identify known good and known bad files. Comodo AEP is much more efficient and effective in containing malware including the zero-day malware. Comodo AEP provides real-time protection for all of your endpoints so that your organization can stay protected from malware threats at all times. Get Comodo Advanced Endpoint Protection today and make your endpoints malware free!